Over the past year, I have found myself wondering, “What is the function of the show ring?” Attendance at shows has gone down, and there are fewer animals coming out. But more concerning than anything else is that it seems that too many of the winners at the major shows have had significant flaws and do not truly represent the most productive, long-lived cows that were at the show. This has me wondering if the show ring still has a function in today’s dairy industry. Long have I listened to the three functions of showing dairy cattle: breed improvement, merchandising and marketability. So as I am now pondering show ring relevance, I figured I would look at each of these three areas and see how well each one actually performs. For years, there has been an ongoing debate about how well a top show cow would last in a commercial environment. Over the past eight months, pretty much every cow that I have seen named Grand Champion at a Holstein show has had a significant functional flaw. This definitely raises an issue for me because, if the show ring is supposed to be the best of the best, shouldn’t the Grand Champion be a great example of that? For me, the question now becomes, “What is it that we are looking for?” For that, I turn to the Dairy Cow Unified Score Card (US) and Holstein Cow Score Card (Canada), and I find myself looking at the relative emphasis of each major category. I question the relative weightings in relation to what a long-lived productive cow truly looks like. (Read more: She Ain’t Pretty – She Just Milks That Way!). This became very evident to me at a judging school I recently attended. On that day, the official panel (which was two representatives from AI) placed a cow at the top of the class who had a major rump problem which is usually associated with reproductive issues. Something you would expect someone who worked in the AI industry to be cognizant of. At the bottom of the class was a very sound cow, placed there because she was not as “deep bodied and dairy as the other cows in the class.” This caused me extreme concern. Not only did it kill my score/performance for the day, but also on a more significant scale, what does it say about us as an industry, if we are selecting these animals to represent the best of the best. High productive and efficient production 2 year old. For me, the issue here is not just a show ring problem. It is also a classification issue. The weighting on the score card is the same for both classification and show ring. If we look at the score card and compare the correlations between production and productive life, we see significant issues arising around what should be benchmarks for a long-lived productive cow. *Performance based score developed by using weights of correlations for productive life and production to each of the four major trait areas. For years I have heard it said, again and again, it all begins with the cow’s udder. Naturally, that makes sense, since we are talking about milk production. What is interesting is that, while the correlation between Mammary System and Productive Life are very high, the correlation between Mammary System and actual milk production is actually negative. My belief on this matter is that, since we have put so much emphasis on udders over the past 30 years, the Mammary Systems on most cows are to the point where they are more than sound for productive reasons. In other words, we have done such a good job at breeding for strong well-attached udders that are well above the hock that we now have taken it to the extreme, where even cows with average udders are still correct enough to last several lactations and be productive cows. Furthermore, and this is where the problem lies, the sires who provide the greatest udder improvement don’t actually sire enough milk. In looking at the top 10 proven sires for Udder Composite you will notice that only 5 sires have a positive value for milk (PTAM) and only two sires (Buxton and Golf) are over 1000 lbs. of milk. The top 100 UDC proven sires from the April 2014 Genetic Evaluations average a very low 551 lbs of milk (PTAM). Conversely, if you look at the top 10 proven sires for milk (PTAM) you will notice that there are two sires (Ruble and Jigsaw) that are over +2.00 for UDC in fact the top 100 milk sires have an average UDC of 1.16. In the top 100 proven Productive Life sires average +1.44 for UDC and +1.48 for PTAT. 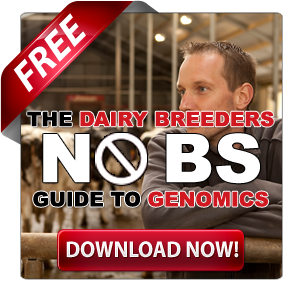 Therefore it’s very clear that the top sires for milk do not always have the best udders, and the top udder sires are not typically you high production sires. Interestingly this leads to the conclusion that a high UDC is not as strong an indicator of either production or the ability to have high production over a cows lifetime as many believe. 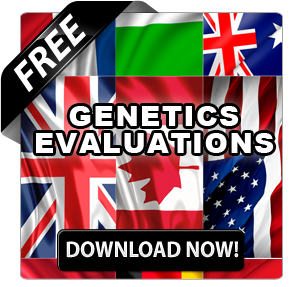 There certainly has been a strong positive trend over recent years to breed and select cattle with greater emphasis on reproduction. With that has come a greater focus on rump angle. This is an area where I am noticing the greatest discrepancy between the show ring and what it truly takes to be a long-lived functional cow. It has been generally accepted that a level wide rump was a show ring rump and a high rump angle rump was a calving ease rump. The challenge is that, over the past year, I have seen cows with extremely high pins being made Grand Champion. While I love a nice boxcar rump as much as the next person does, it still needs to be at least level and not have a severe tilt from back to front. Ernest-Anthony Aphrodite-ET 2E 95 the Member 2009 All-American Produce of Dam, Member 2009 All-American Senior Best 3 Females, Member of 2007 Unanimous All-American Senior Best Three Females and Reserve All-American Produce of Dam sold for $21,000 at the Best of Both Worlds Sale. 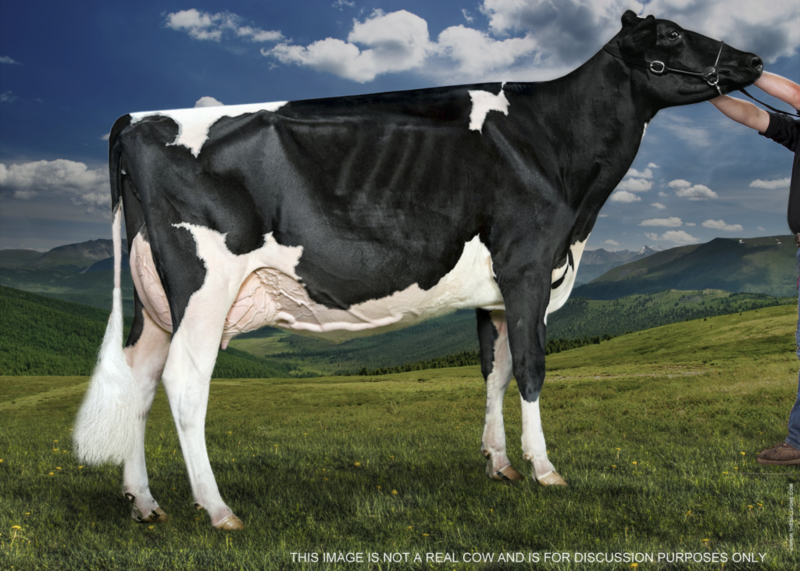 Of course Aphrodite is from the great Tri-Day Ashlyn-ET EX 96, the Supreme Champion from the 2001 World Dairy Expo and Royal Winter Fair. Over the past two years, I have noticed a drastic decrease in the number of people attending cattle shows. This has gotten to the point where many have started openly raising concerns about what is happening. Take for example the recent Maxville Holstein Show (Read more: Maxville Holstein Show Results 2014) where it would have been generous to say there were 100 spectators in the crowd. Furthermore, the average age of those spectators was well over 60. If you were evaluating marketability by that attendance at the show, you would certainly have been disappointed. However, here again, times have changed. Today, due to the Internet, more and more people are watching from home. Especially if they live a significant distance away. (Read more: Who is going to the show? 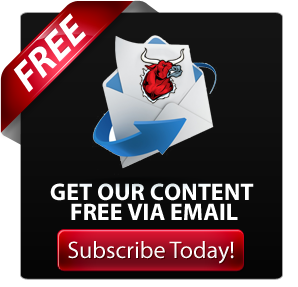 Why attendance is down at the dairy cattle shows). The statistics from our own coverage tell a very different story than does the attendance at the show. We had over 10,000 people view the show results on our website on show day alone. Over 1,300 people shared our webpage on Facebook and another 3,000 people liked or shared our pictures on Facebook. Therefore, what has really happened? The answer is that the marketability of a show has gone from being that of a local attendance market to a worldwide market, where you can merchandise to people from around the globe (as long as the right dairy publications attend). 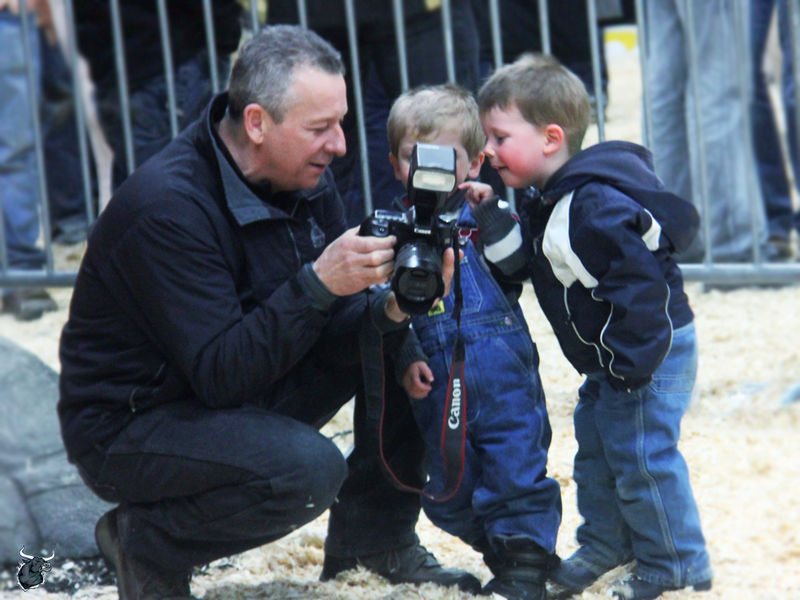 If the dairy publications don’t choose to attend your local show, there is still an opportunity to snap your own pictures, get them liked and shared around the world and produce your own viral marketing. I have often seen a quick selfie by breeders at a show far outperform a professional side photograph on Facebook. 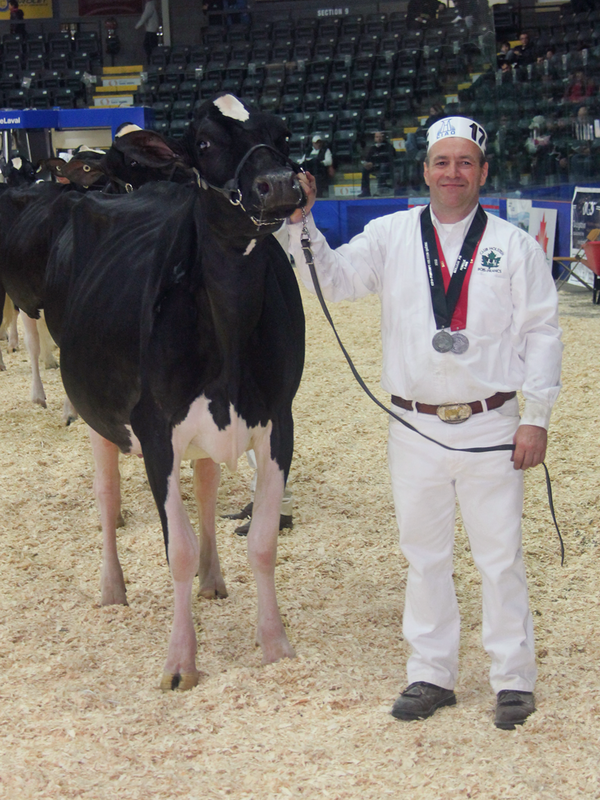 When all is said and done, the viral nature of show results, pictures, and videos on the Internet prove that the show ring still serves a relevant position in today’s dairy industry. 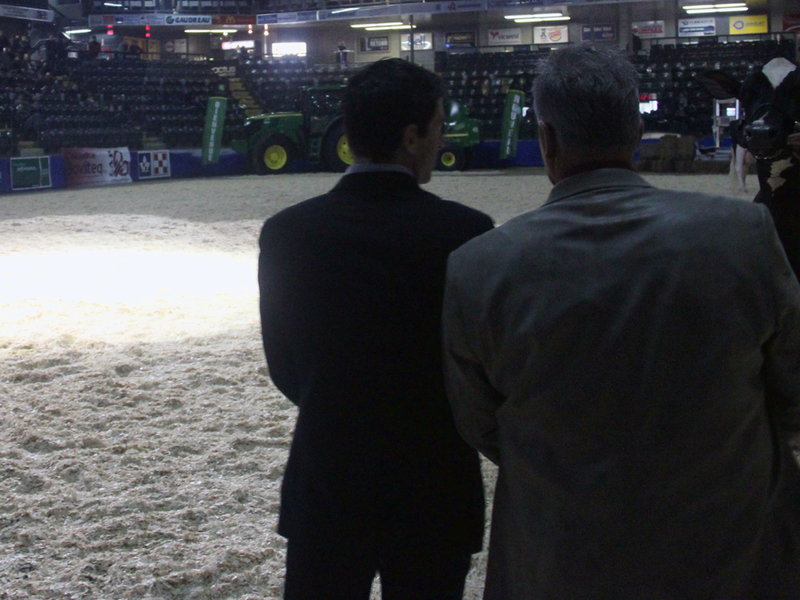 There are certainly opportunities to further enhance the relevance of the show ring to the rest of the industry. The best way to do that is in the type of cattle that we select at the shows. For years, the show ring and type classification led the charge on the need to focus more on mammary system improvement. Today we are at the point where cows’ udders in most herds in the world are very sound. It’s now time for the show ring and type classification to again lead the charge when selecting for long-lived productive cows. This will mean putting greater emphasis on functional rumps and functional cows. Let`s ensure that the show ring has a relevant function in the dairy industry for years to come. I always love heading to Quebec. From seeing Patrice Biron, the former Holstein Canada President that I spent summers trying to learn French from, to the memories of St. Huberts and my trip with my father, sister and David Houck, the legendary manager from Rommandale Farms, where I would pull the seat release causing his chair to go flying back, earning me the nickname “my worst enemy” from David (I guess some things never change…read more: The Bullvine- Wanted Dead or Alive), I just loved making those memories. . While my French still is not as good as it could be, and David is no longer with us, my enjoyment of Quebec will never change. One thing that is for sure a constant is how great the Quebec people are and the passion they have for the dairy breed. There is something to be said about how Quebecer’s can put on a show. Just like Cirque de Soleil and the Montreal Canadiens award ceremonies for former greats, Quebecer’s put on a show like none other. Their hospitality and friendliness comes through no matter what language you speak. 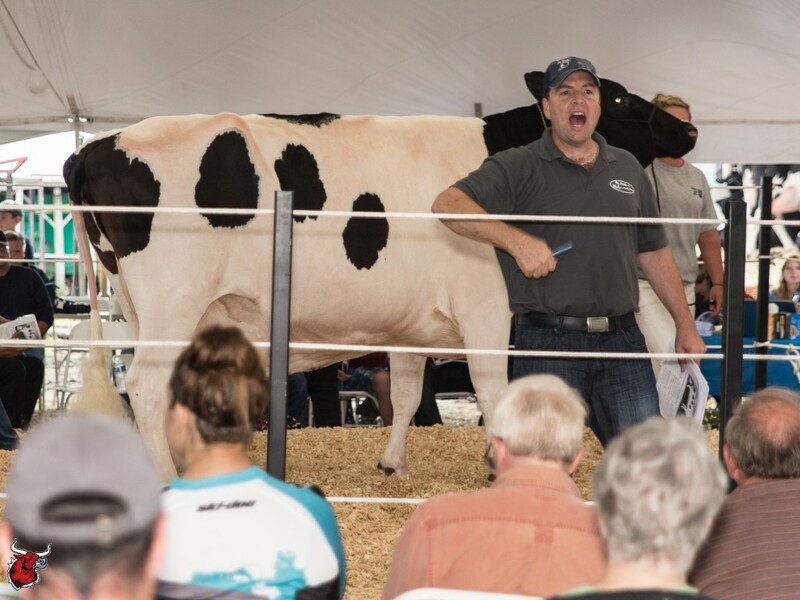 One place where there was no question that passion drives it all was attending the Trans America Genetics’ Genomic Giants sale. 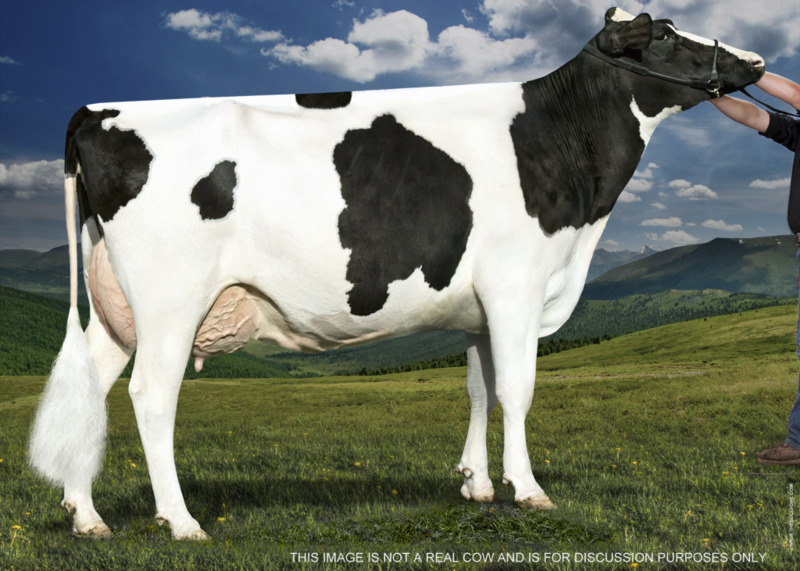 This amazing sale averaged an outstanding $38,472 ((Read more: Genomic Giants Sale Averages an Outstanding $38,472). 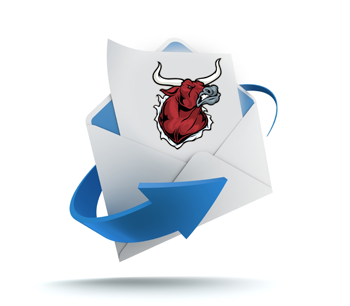 With many of the top TPI and LPI animals in the world set to be offered you knew it was going to be very special (Read more: The Dairy Cattle Investor’s Guide to Spring Show Madness). And while this may be a tamed down version of the show they put on in the fall sale, there was no question that it too was a great one. One of the things I learned in speaking with Patrice and Natalie Simard, the passionate couple that helps drive TAG`s success, is that 3 of the top sellers were a result of their breeding programs. As we talked more, I learned about just how well thought out their strategy is and how they are really thinking about how to take things to new level. 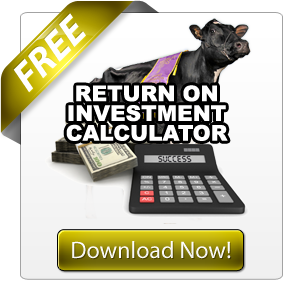 It`s passion and attention to detail that has helped them to attract new investors, the most recent of which are not from the dairy industry, but rather people who see the great business plan combined with the passion and have decided to invest in TAG. Outstanding!!!! Love to see new money coming into the industry. There is just something special about attending a dairy cattle show in Quebec. The quality of cattle is always outstanding and the people truly passionate. This guarantees that the experience something you will never forget. From the Red and White show on Wednesday that made up for its small classes with outstanding quality (Read more: Quebec Spring Red & White Show Results) to the Holstein Show on Thursday (Read more: Quebec Spring Holstein Show Results) that had milking cow classes in excess of 25 animals , the heart of dairy cattle showing in Canada is certainly in Quebec. One great thing to see was Donald Dubois, winner of the showman Breeder’s Choice awards (Read more: The Winners of the 2012 Breeder’s Choice Awards are…) in the ring. Donald is truly one of the greats and was in fine form at the show. From the first class of the day, highlighted by Pierstein Gold Chip Rockstar who won the Sr. Calf class and went on to become Honorable Junior Champion and who will sell in the Canadian National Convention Sale (Read more: National Convention Sale), you knew the classes were going to be deep and have tons of quality. Handling this was none other than the living legend Marc Comtois. While there isn’t anything Marc has not accomplished in the industry, it was great to see Marc working in the ring, passing on his considerable experience to his son Steve, who has now become a partner in Comestar. Holsteins. Great uncle Carl Saucier and the 3rd generation ferme Jacobs having fun at Quebec Spring Show. Speaking of passing it on to the next generation, anyone attending the show had to be touched by some of the special moments from young ferme Jacobs these cute kids. 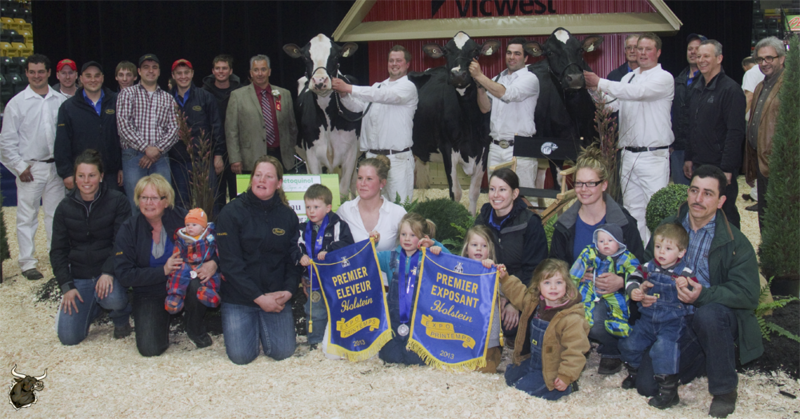 And if the picture from the Premier Breeders presentation is any indication, it is certainly a family affair (Read more: Ferme Jacobs – Success is all in the family!). Watching Marc handle the mature cow class that came down to a battle between two greats Wendon Goldwyn Allie and Boulet Goldwyn Chalou reminded me of when Marc judged the Royal and had to choose between two legends Acme Star Lily and Rainyridge Tony Beauty. Just like on that November back in 1999, Marc handled the situation with class and diligence, thoroughly going over them and ultimately choosing Allie for the win. Just like 1999 the mature cow class winner went on to be Grand, the same way Lily had. 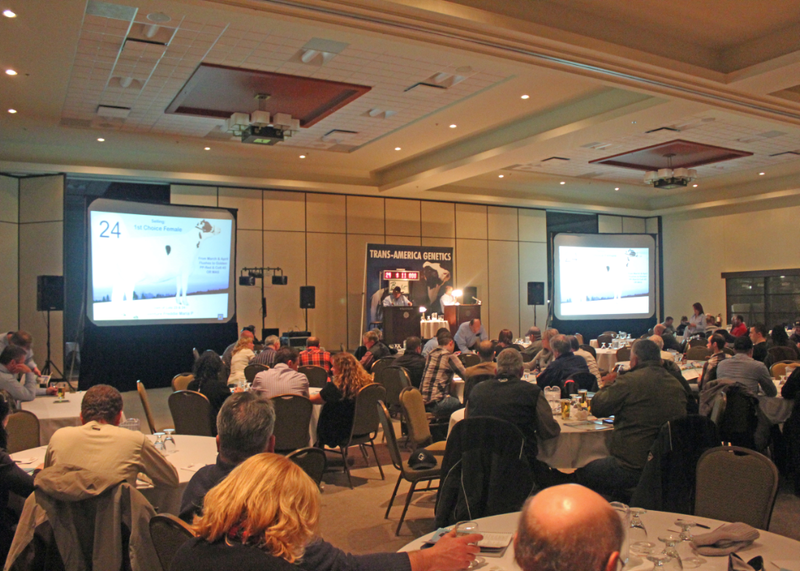 We all face many challenges in the dairy industry and there is a great deal of uncertainty in some areas these days. A quick visit to Quebec will show you that as long as you have passion for cattle, it doesn’t matter what language you speak or problems you face. Let your heart drive you and your head guide you and success is sure to follow.